So, you’ll are enjoying the concept décor stories. Many thanks! We love the feedback—keep them coming! In this edition, we’re featuring a blend of poetry and iconic furniture in the A House by the Pond tale. Water bodies surround us; ponds, lakes, rivers, seas and oceans, and this theme evokes a déjà vu feeling for many of us, who’re blessed with a view of water right from our living rooms. A House by the Pond is for the storyteller in you, who’s eager for yet another fable. The decor is about iconic furniture schemes and events that drive the storyline through an emotional roller-coaster ride. 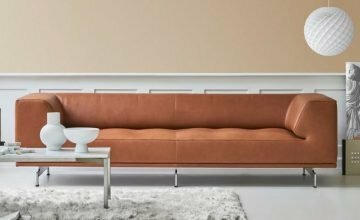 Lounging on the Poet Sofa is an experience like no other—the Poet Sofa helps experience harmony with inner wisdom. As you relax in the inner core, the designer furniture helps make an immersive experience by relieving you of the worries that burden you. Feeling boisterous? The Pelican Chair can have that effect on you. In nature, the incredibly talented pelicans inspire us to do our own thing. In the house by the pond, by spreading their wings, the Pelicans are signaling its story time. Brew up some honey lemon green tea as you continue to yarn that epic tale. Or, convenient for any setting, set up the Eye Table as you like for entertaining relatives or friends. The simplicity of the Nyhavn Desk makes it appropriate for this home. 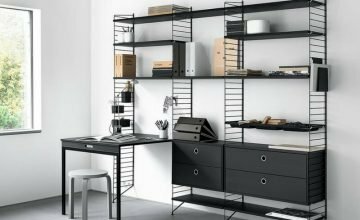 Sans fancy features, this piece of iconic furniture is ideal for setting up a home office or as a space for placing things for the tasks you need to get done this weekend. Aside from Finn Juhl’s designs, we also have two pieces from Gubi. The first is the Multi-Lite Pendant, which some would argue is also a toy. Turn the rotating shades to achieve different configurations to direct light upwards, downwards or create your illumination-art. 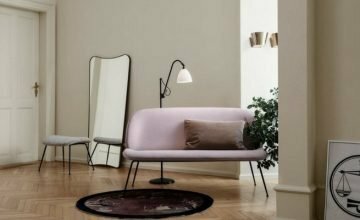 The second piece from Gubi is this stunning mirror. Give your home its unique quirks with the Randaccio Circular Wall Mirror, featuring a crown top, which could be set up quickly in the bathroom, bedroom, guest room or hallway. For the storyteller in you, the 45 Chair is the perfect muse. 1945 seems like a long time ago, but the brilliant design gives the designer furniture the look and feel of the future, which is the ideal setting for a sci-fi escapade. Quick question. For those of you who’re regulars in our Singapore showroom, how many iconic furnitures can you recognize? We keep adding to our inventory, so please do come and check us out.